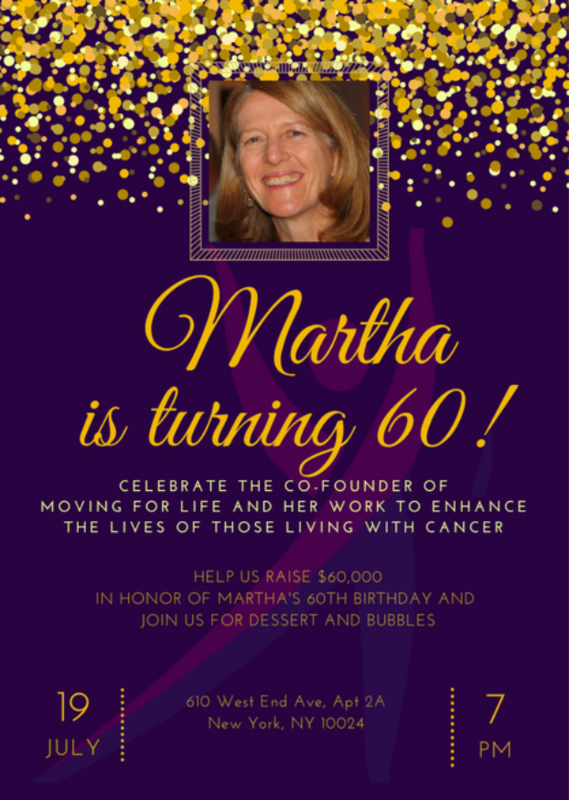 Moving For Life - RSVP/Martha is Turning 60! To raise $60,000 in honor of our co-founder to support five new classes, new teacher certifications, lectures and outreach in communities with limited access to wellness services. Thanks primarily to generous donations, we have grown from a group of volunteers to a nonprofit organization serving hundreds of survivors in free weekly classes at 20 hospitals and community centers throughout the region.